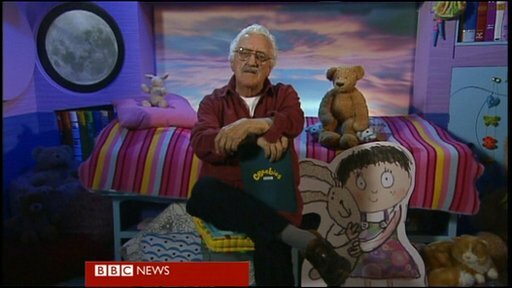 "I don't seem to have stopped for nearly 60 years," says Bernard Cribbins, who is to receive the special award at the Children's Baftas ceremony this weekend. The veteran actor and presenter is being honoured for his outstanding creative contribution to the industry. "I'm highly honoured and delighted," he says. 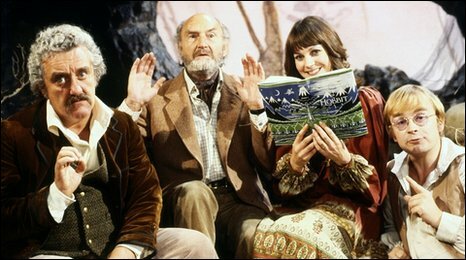 Cribbins holds the record for the most Jackanory appearances - 111 in total. He thinks one of his earliest roles watched by children would have been a live television performance of David Copperfield in 1956. 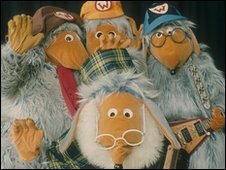 He was the voice of The Wombles in the 1970s TV series, and has gained a new generation of fans through his role as Wilfred Mott in the Doctor Who. 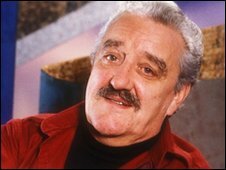 Cribbens, who will be 81 in December, says he "doesn't believe in retirement". "Actors are lucky because they don't have to retire - they just go on playing older and older idiots," he laughs. Here he looks back on some of his best-known roles. I did Wind in the Willows live down at Mapledurham [in Berkshire] in the old mill and along the towpath. I had to drive a 1910 Hotchkiss motor car - which was a big thing with a long, long bonnet and a wooden steering - as the character of toad talking in toad's voice. I was terrified I was going to get slightly distracted and drive it into the river, because I was literally on the towpath. That was quite frightening for a bit but we got through it. A lot of things happened in 1966! That film [a Doctor Who spin-off] was with Peter Cushing, Roberta Tovey, Ray Brooks - a lovely film to do. I remember getting into terrible trouble with the director Gordon Flemyng, who was a very gruff Glaswegian. I started laughing, Peter started laughing and we got a terrible shellacking from Gordon Flemyng. When we were finishing my bits on the the last two episodes with David Tennant we had the wrap party. They called me up on stage and I was presented with a picture with the top half melting into the bottom half. The top half is me with Mr Cushing and a Dalek, and the bottom half is me entering the Tardis with David. 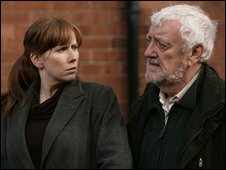 It says: 'Bernard Cribbins, the Doctor's most faithful companion.' Which is lovely isn't it, so that'll be hanging somewhere in the house now. I cannot tell you what happens in the final one because we weren't given the last three pages of the script. Which is very sensible because otherwise you'd have a couple of large shandies and start telling everybody all about it. A lovely thing to do - 39 years ago. Jenny Agutter is an old lady now - everybody fancied her! I saw a bit of it at the weekend. I thought, 'right', and turned it off. I think I know it by heart now. We had about three weeks up in Yorkshire and the weather was absolutely glorious. We were working on Oakworth Station and we had the steam trains. I actually rode on the footplate of an engine - very slowly I must admit - just going down the track and back again. It made me wonder how it was for those guys that used to go from London to Edinburgh. It's wide open at the sides, it's hard metal and it's hot - the most uncomfortable place to work and yet kids always wanted to be engine drivers. I never did, I must say. All the kids like Orinoco - he was always having a little feed and looking forward to tea and supper, and skiving off and having a little sleep. They were lovely to do. There was one who didn't appear that much, MacWomble the Terrible - the Scottish one, second cousin to Great Uncle Bulgaria. He sounded like Bulgaria on something [makes loud MacWomble roaring noise]. Madame Cholet was lovely when she was introduced. I think there was something going on between Madame Cholet and Bulgaria, you know. [Slips into Womble voices.] "Oh you naughty Mr Bulgaria!" "Oh, I'm sorry, I didn't see you in the bathroom!"